Lüdenscheid, Germany – MTS Sensors, a division of MTS Systems Corporation (NASDAQ: MTSC), announced today that the Temposonics® T-Series sensors have been enhanced with KCs analog and SIL 2 interface certification. 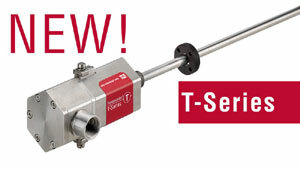 This new certification means that Temposonics® T-Series sensors are now also approved for the South Korean market. The magnetostrictive, linear position sensors of the T series have been specially developed for use in potentially explosive areas where they are exposed to flames or corrosive substances, for example. The demand for sensor solutions that meet the requirements for explosion protection and functional safety is growing, especially for applications in power generation and chemical plants as well as on oil platforms. "We are very pleased to be able to offer our customers the sensors of the T-Series in South Korea with the new Ex-certificate.," explains Dr. Olaf Kissing, Product Manager at MTS Sensors. "With the new certificate, especially for analog and SIL 2, even more customers worldwide can now integrate the position sensors of the T-Series into their automation processes in hazardous areas."